More than 42 million people in the United States struggle with food insecurity. This means that they do not know where their next meal will come from. It is also unacceptable that as much as 72 billion pounds of safe and wholesome food gets wasted every year in this country. Food loss occurs at every stage of food production and distribution. Not only do we lose large quantities of food to the landfill, we also lose the resources, energy and money that went into producing the food. 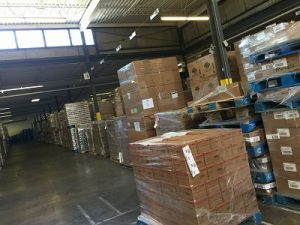 The Freestore Foodbank is part of the Feeding America network of 200 foodbanks. We work with more than 450 partner agencies in OH, KY and IN to distribute over 27 million meals to our neighbors in the tristate region. 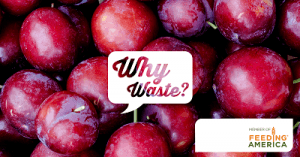 Feeding America helps us find new and innovative solutions to reduce food waste. We also work with local organizations such as Green Umbrella to find socially responsible ways to dispose of waste from our operations. Feeding America leads the way in food recovery efforts by leveraging public, private and non-profit organizations across the country to rescue more food, increase awareness and mobilize the community to take action towards food recovery. Their relationship with grocers, farmers, manufacturers, food service operators and others across the food supply chain gives them unique access to food that might otherwise go to waste. Currently they rescue close to 2.8 billion pounds of safe and wholesome food every year from going to waste and provide it to families in need. One of the largest opportunities to rescue more food is to expand pilot programs with the agricultural industry to harvest excess crops and divert them to food banks and other organizations that can quickly distribute them. A key enabler of this is the expanded federal food donation tax deduction passed in December 2015. Other key pieces of legislation include the Bill Emerson Good Samaritan Food Donation Act which provides a baseline of civil and criminal liability protection for food donors and the non-profits that receive and redistribute those donations. Feeding America educates Congress and the administration about food recovery. They also focus on collaborating with the food industry and policy makers to highlight how we can strengthen food donation practices to tackle food waste and hunger at the same time. The Freestore Foodbank hopes to leverage our partnership with local companies such as Kroger Corporation to come up with ways to minimize waste. 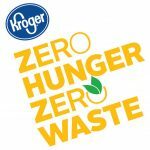 Kroger recently launched the Zero Hunger Zero Waste initiative which aims to reduce waste, produce clean, renewable energy and also increase donations to food banks. We look forward to working closely with Kroger and other partners to develop new ways to make our operations more efficient and effective.